What Food Expiration Dates Mean -- It's Not What You Think! Did you know there are some common household cleaning products you should never mix? I know we all like using natural cleaning recipes, but it’s important to remember that not every cleaning supply plays nicely with others. In fact, the wrong combination can be deadly. Even using one cleaning product immediately after another, without rinsing or allowing time for the first to dry, can create potentially toxic results. Keep the warnings below in mind when you’re looking for DIY cleaning recipes on Pinterest — some “frugal” solutions aren’t worth the health risks. 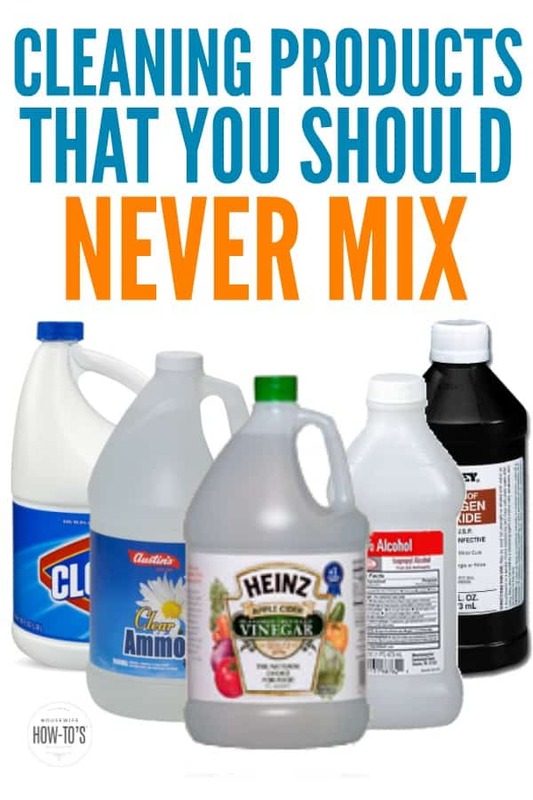 These warnings about cleaning products you should never mix mean just that: don’t shake or stir them together in a bottle. In some cases, it’s okay to use one after the other but be sure to rinse the first or allow it to completely dry, so it’s no longer active. Read the cautions below for further explanation. Always check the labels of commercial cleaning products before using them together, even in the same room. If you’ve cleaned the toilet bowl with a bleach-based cleaner, for instance, using vinegar or ammonia-based cleaners on the seat and tank could still create a toxic cloud. • If you don’t know what’s in a cleaning product — and many manufacturers don’t disclose their active ingredients — be sure to rinse the area well then let it dry before using other products on or in the same spot. • Always run a bathroom fan while you’re cleaning. A fan doesn’t overcome lethal combinations, but it can help keep safe cleaning mixes from becoming irritants. Plus, it’s an excellent way to reduce bathroom mildew. • Protect your skin when using any household cleaner, even natural ones, by wearing reusable cleaning gloves. Latex or rubber gloves will prevent absorption of cleaning products through your skin and shields you from coming in contact with some of the nastier bacteria that grows on household surfaces. The chlorine in bleach reacts with the acetic acid in vinegar. The result is chlorine gas, a compound so powerful that it plays a horrific role in chemical warfare. Even with short periods of exposure, this can irritate air passages and eyes. At higher levels of exposure, it can lead to chest pains, swelling, and blistering of the throat, lungs, eyes, and skin. Chloramine gas causes many of the same respiratory problems and blistering described above. In at least one instance, it’s led to severe lung injury. Though both cleaning products are powerful on their own, neither should be used without adequate ventilation, and the combination should never be used at all. Bleach contains sodium hypochlorite. Rubbing alcohol — known as surgical spirits in the UK — contains ethanol or isopropyl alcohol. The combination produces chloroform. Yep, the same stuff kidnappers on TV use to knock out their victims. Chloroform can be absorbed through the skin as well as inhaled and can damage the nervous system, eyes, lungs, skin, liver, kidneys, and other organs. I recently saw an idea on Pinterest to combine hydrogen peroxide and vinegar to make “natural bleach.” It may do that, but only because it creates peracetic acid, a highly corrosive liquid. While this reaction used in some commercial laundry products, it’s done in a controlled manner which has been safety-tested. That Pin? Not so much. 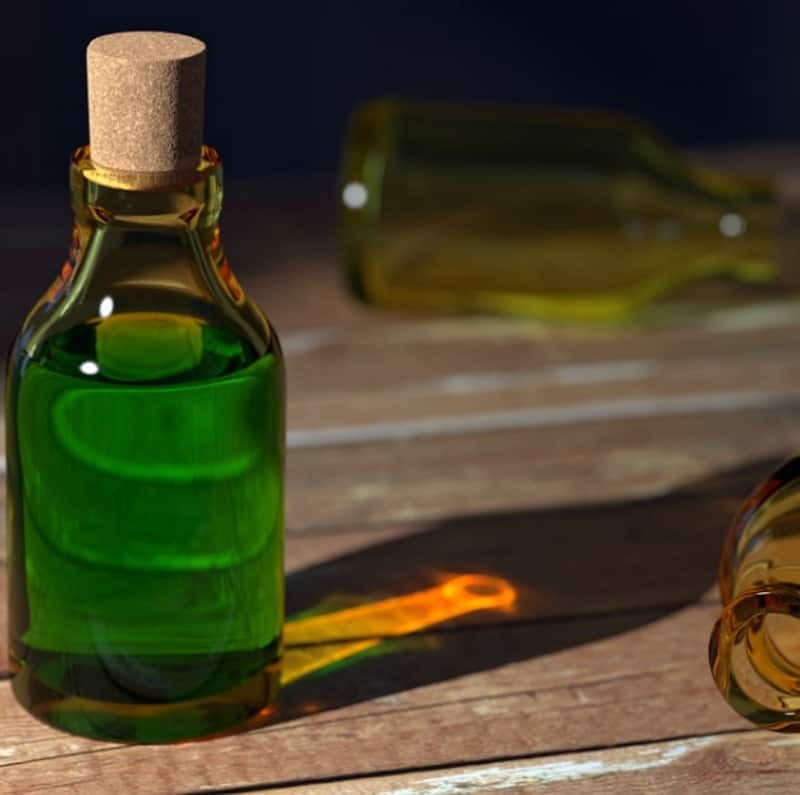 It’s not a small risk, either: peracetic acid is readily absorbed through the skin and a very toxic compound that can burn the mucous membranes of the mouth, throat, and esophagus. Everyone hates finding bugs and spiders in their home. It’s tempting to use the strongest pesticide you can find to deal with them, and even more tempting to think that a commercial grade pesticide must be better than the stuff from the hardware store. You might think that rinsing the product away after it’s had a chance to kill the pests will keep your family safe, but certain pesticides create deadly phosphine gas when combined with water. Opt for safe, natural pest control methods or contact a professional. Different drain cleaners rely on different chemicals to power through grime and clogs. Some are acidic, while some are alkaline (basic). When one doesn’t work, you might be tempted to try a different product to get the drain flowing freely again. Don’t! The first drain cleaner is still in your pipes, and still active, so adding a second one can cause a chemical reaction that sends corrosive ingredients spraying all over you and your home. If the first drain cleaner doesn’t work, call a professional. Hi Katie, Do you have any info on alkaline ingredients mixed with acidic ingredients (like vinegar mixed with baking soda)? I’ve heard they cancel each other out so don’t work in a cleaner. I love your website and just ordered your 30 Days book. I learned how to clean my dishwasher from you and felt so empowered to get rid of the stink! Thank you! Thank you for ordering my book! I hope you find the rest of it useful, too. As for the alkaline and acidic canceling each other out, the only real info I have involves basic chemistry and is probably the exact info you have, too. I do use both vinegar and baking soda in a few of my cleansers, but in a proportion which would completely neutralize the vinegar’s acidity. In those instances, the baking soda is added solely for the purpose of providing a gentle abrasive, and in a small enough ratio to the vinegar to avoid neutralizing the vinegar’s cleaning power. Thank You. Great information to share. It could save someones life! Thank you, thank you, thank you. I’ve started experimenting with homemade cleaners (I have a cleaning section on my website) and my one concern about trying all these out is “do these people know what they’re talking about.” I pinned this so I can find it again! Thanks again for sharing. It’s smart of you to be wary. I’ve seen so many potentially dangerous cleaning mix combinations suggested online.